The Greater Phoenix Chamber honors three elected officials as Sentinel Award recipients at the IMPACT Awards. The Sentinel Awards recognize elected state and local officials for their outstanding legislative and regulatory work on behalf of the business community in the Greater Phoenix region. 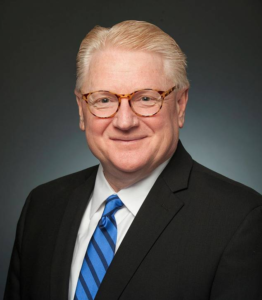 Senator Bob Worsley is Chair of the Senate Transportation Committee; he is also a member of the Judiciary and the Commerce & Workforce Development committees. He first took office in 2012, and has since served as a stalwart voice for business in the Arizona Senate. As a businessman himself, Worsley understands the unique needs of business of all sizes. With a long career in the private sector, Worsley brings a wealth of practical, problem-solving, and entrepreneurial successes with him to his role as a state senator. He founded SkyMall in 1989 and sold it 13 years later to Rupert Murdoch’s TV Guide Group. Ten years after founding SkyMall, he was recognized as Entrepreneur of the Year by Ernst and Young. More recently, he founded NZ Legacy in 2002, a land, mineral and energy development company. During his six years in the Senate, Worsley has made several significant accomplishments that have moved Arizona forward. 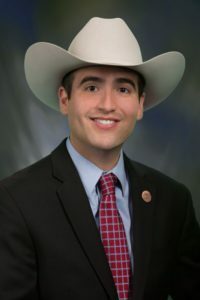 Representative T.J. Shope, a longtime friend of the Greater Phoenix Chamber of Commerce, has served as a state representative since 2012. Representative Shope currently serves as Speaker Pro Tempore in the House of Representatives, and acts as the Chair of the Rules Committee. He is a resident of Coolidge, Arizona, and has long been active in the community. In 2008, he earned a Bachelor of Science Degree in Political Science from Arizona State University. Elected to the Coolidge Unified School District Governing Board in 2008 and re-elected in 2012, he was voted to be the board’s vice-president upon taking office in 2009. In 2013, was elected as the board’s president and then re-elected again in 2016. With strong ties to his community, he co-owns Shope’s IGA Supermarket with his parents. His experience as a small, local business owner gives him the knowledge and background needed to be a strong advocate for small employers. Vice Mayor Thelda Williams was re-elected in 2015 for a third four-year term. She has served on the Phoenix City Council since 2008. 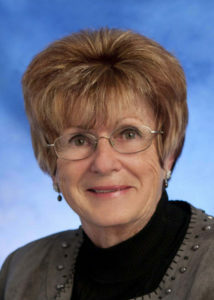 Previously, she served on the Council from 1989 to 1996 and as interim mayor in 1994. Prior to this, she was the Division Commander of the Custody Support/Inmate Programs Division at the Maricopa County Sheriff’s Office. Vice Mayor Williams has served on numerous boards and commissions including the city of Phoenix Aviation Advisory Board, the city of Phoenix Transit Commission, the Block Watch Oversight Committee, the Deer Valley Planning Committee, the Phoenix Planning and Zoning Committee, the Maricopa Association of Governments Board, Women in Local Government Association, Governor’s Commission to Prevent Violence Against Women, and the Maricopa County Adult Probation Advisory Board. During her time in office, Williams has been a staunch advocate for transportation and transit in Phoenix, and helped to support key Chamber initiatives that are propelling Phoenix’s economic growth.